Eskom and the Council for Scientific and Industrial Research (CSIR) today signed a partnership which seeks to synergise the research capabilities of two state-owned organisations in support of Eskom’s strategic and operational needs. The overall accountability to manage the agreement will reside within Eskom’s Research, Testing and Development business unit. The agreement covers the next five years and is aimed at aligning and enhancing interaction between the organisations in support of national goals. 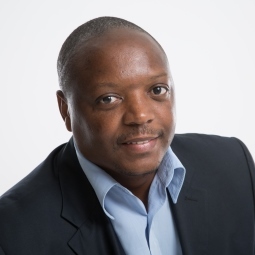 “Together Eskom and the CSIR can come up with innovative solutions for current and future energy issues, determine what the new electricity system will look like and what the plans and responses should be that need to be put in place to build the future South African energy system,” says Sibisi. Eskom and the CSIR have therefore jointly approved the elevation of the current partnership to a strategic partnership that can support both strategic decision-making and assist with operational issues so as to address both the short and long-term challenges of Eskom and the country’s electricity system. In order to administrate the agreement, a bilateral committee is in place made up of CSIR and Eskom executives that meet to discuss potential projects that will further be considered by delegated steering groups. The overall Eskom accountability to manage the agreement will reside within the Transmission and Sustainability Division of Eskom and the Research, Testing and Development business unit in particular. The partnership will enable the CSIR and Eskom to garner more value from the relationship that is also increasingly being promoted by the principal stakeholders of the two organisations, the Department of Science & Technology and the Department of Public Enterprises.